Objectives: The purpose of the current work is to evaluate D-dimer plasma level among both normal and complicated pregnancies such as gestational diabetes (GD) and hypertension (GH) among Saudi females. It is also focused on exhibiting any possible factors that could also play a role in rising D-dimer levels besides the age of the pregnant woman and the period of gestation. 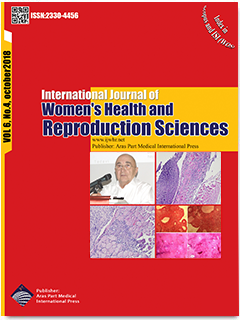 Materials and Methods: A semi-quantitative latex agglutination assay was performed in the blood sample of healthy non-pregnant, pregnant and pregnant females with GD and GH. Results: The results exhibited that 92% of pregnancies with GH and 90% of multiple pregnancies had high D-dimer levels. The analysis of the effect of age of pregnant women on D-dimer concentrations presented that 100% of pregnant women with GD, GH or multiple pregnancies aged above 40, had high levels of D-dimer. The results of the relationship between gestational age of pregnancies and D-dimer showed that by reaching the third trimester, about 66.6% of women who had multiple pregnancies had D-dimer concentration above 2000 ng/mL. Interestingly, all the pregnant females with GH had D-dimer concentrations above 2000 ng/mL. Conclusions: This study postulated that the concentrations of D-dimer significantly increase during pregnancy associated with common complications such as GD and GH. It is the first study to demonstrate the possible risk factors during pregnancy, which include age, number of pregnancies, gestational age and pregnancies with GD and GH, especially among Saudi Arabian women.